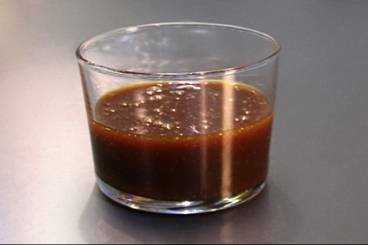 A rich, golden caramel sauce made with double cream, butter, sugar and maldon salt. Place the caster sugar in a hot frying pan and leave to caramelise without stirring. Tilt the pan from side to side to ensure the sugar melts evenly and allow to darken to a deep dark golden colour. Reduce to a low heat and add the butter. Allow to melt before adding the double cream and salt, mixing well. Serve a generous drizzle over ice cream or gooey chocolate brownies.